This is a great addition to the bumbo chair, little one looks very secure in the chair and with the tray can now reach his toys. Think it will be great for weaning too. Tray fixes on really easy and super easy to take off and clean. 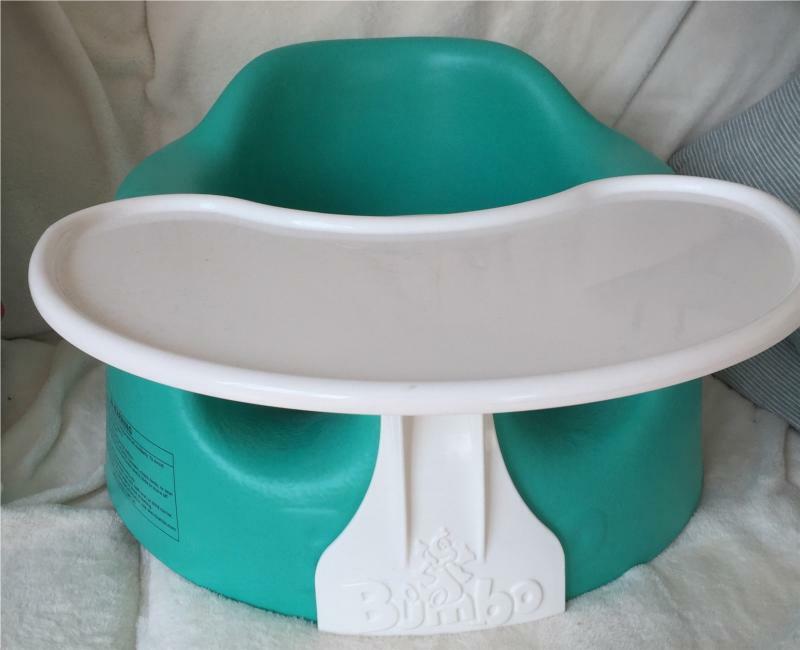 This is a great tray with a snug fit onto the Bumbo floor seat. It is a decent size that allows for baby to eat from it and also play with toys whilst in the seat. Whilst it can be a little tricky to sit your baby in the seat with the tray already attached it can be done if you manoeuvre their legs carefully. Having said that it is easy and straightforward enough to just fit the tray once your baby is already in the seat. We've been using the tray, with the seat, whilst starting weaning. It's been great for this as our 7 month old can sit but is still a little wobbly. The tray stays in place and she hasn't yet been able to remove it herself which is impressive when she's a mini Houdini! The only down side to this tray is that with sticky food-covered fingers clinging onto the edge of it food can get into the ridge that runs around the underside edge of the tray. It's not a huge problem but does slow down the cleaning process that would otherwise be super quick. 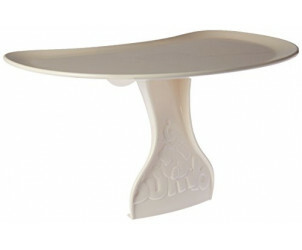 Other than this minor niggle we'd definitely recommend this tray to go with the Bumbo floor seat. Bought this to go with the bumbo seat but found it difficult to use and wasn’t really worth it the bumbo on its own was good enough for us. It doesn't move easily, so when baby is using it on the floor, I know she won't be knocked over. I love the tray, it is extremely handy at meal times and easy to wipe down and clean. I wish I'd had one with my other two! As long as the baby is already seated, the tray is easy to put in place. 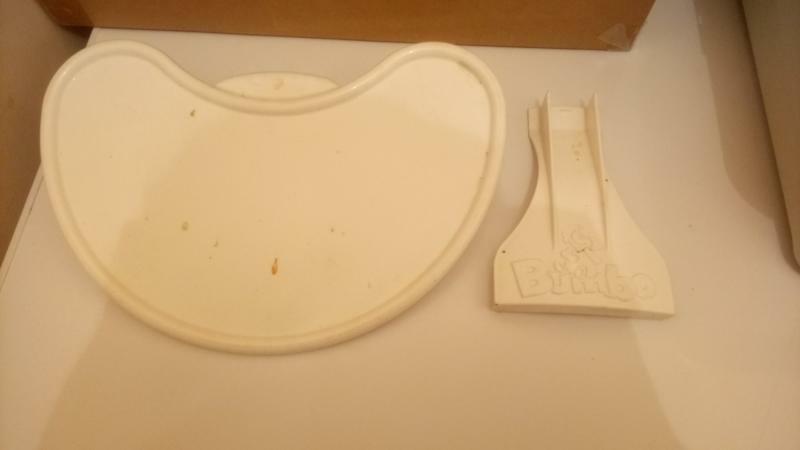 This tray is definitely a valuable add on to the bumbo seat it makes for a good play space or tray to eat from to make the chair more like a highchair. It’s ready to take on and off and wipes clean. 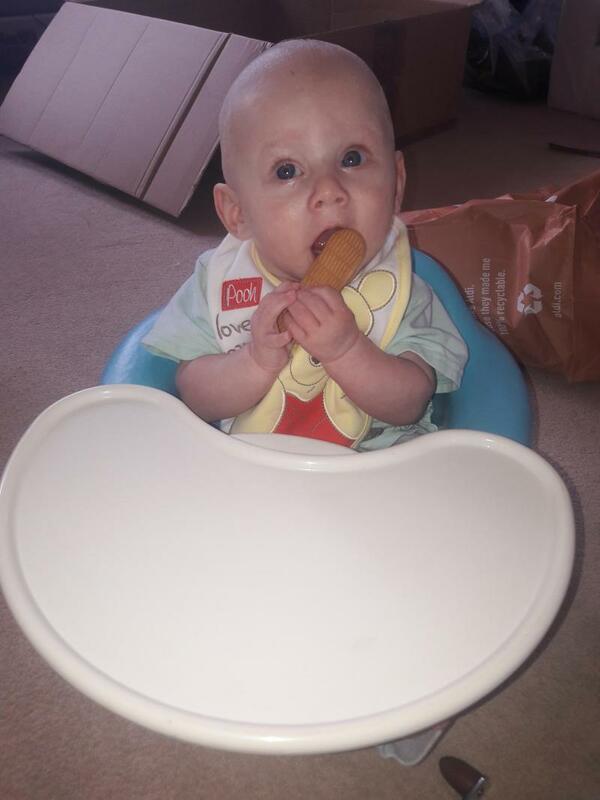 The bumbo tray is a useful add on to the bumbo seat as then it can act like a mini high chair. Or you can stick babies toys on the tray to help keep their interest. It is easy to clean which is great. But it can stick getting it on and off and we found the baby needed to be in the seated in the seat to put it on 1st so it made this action a bit jerky. I am glad we got the tray, I just wish it was easy to get on and off. It's so easy to take on and off and easy to clean.. easy for you to use as a high chair or somewhere for baby to play with toys on. We got this as we thought it'd be helpful for baby to have a table on his bumbo. It definitely has been useful to place toys on etc, however with how difficult it is to attach it doesn't seem worth it to us. When it's attached it is secure but baby cannot be placed in the seat with it on. The price is very reasonable, and it is a good product, but from my opinion i'd say it isn't essential and more trouble than it's worth. Easy to fit tray to the bumbo means baby can so much more and can be entertained for longer fits together easily and still easy to wipe clean and store . 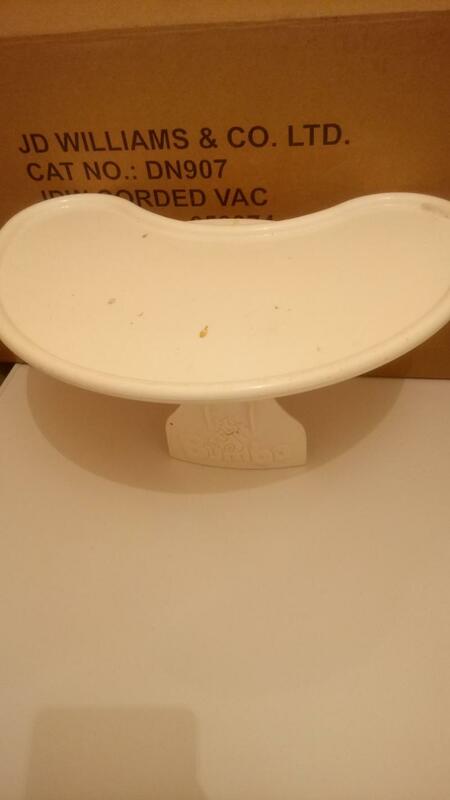 Lovely designed tray to fit on bumbo seat but not very easy to remove when baby in the seat. It can help when baby not quite ready for highchair. My son loves this seat but not without the tray, it’s great for food and toys. I do find putting the tray on really hard . The strap is good to keep the baby in and for safety . Cleaning is easy and totally mess free after. Easy to clean and store away. 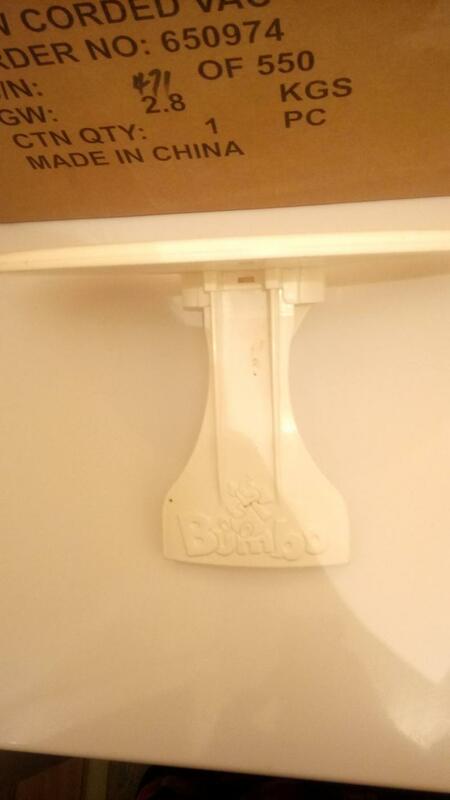 Easy to attach to the bumbo. Is a strong a sturdy tray which can withstand constant banging, pressure and the stress of everyday child's play. Really like the table idea and it is easy to use and clean but is hard to get on and off the bumbo. Perfect for having in car as well for travelling to family. Bumbo has designed a play tray perfectly suited to their classic seat. It fits securely under the Bumbo and allows your baby to enjoy table-top activities whilst in the chair. 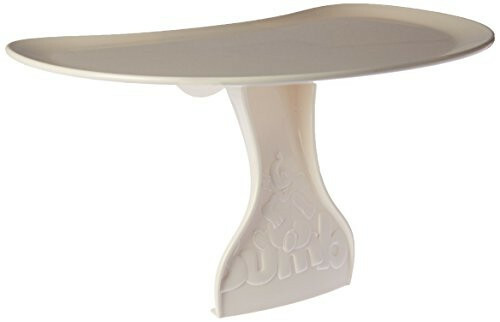 The white tray simply clips under the seat which means you can place you child in and out without having to remove it. It is ideal to use at feeding times and eliminates the hassle out of moving your baby from the Bumbo into a highchair or a bouncer. Its also perfect for putting little suction toys on so your little one can stay stimulated and entertained. The tray is easy to clean and can be removed and stored easily when not in use.